The interview explored NAIFAs goals and challenges and McNeelys vision for the association as she takes the helm. In early 2015, NAIFA will be paying close attention to Congress' work on tax reform, says NAIFA President-elect Juli McNeely. In advance of the Career Conference and annual meeting of the National Association of Insurance and Financial Advisors, being held in San Diego September 6-8, LifeHealthPro Senior Editor Warren S. Hersch spoke with NAIFA President-elect Juli McNeely. The interview explored NAIFA’s goals and challenges and McNeely’s vision for the association as she takes the helm of the 40,000-plus member organization. The following are excerpts. Hersch: As NAIFA commemorates its 125th anniversary this year, how would you assess the state of the association in terms of its financial health, standing in the industry and ability to advance advocacy and professional development objectives? McNeely: NAIFA is strong financially. And we’re doing more with fewer resources all the time. That’s a huge testament to our amazing staff at NAIFA National and to the volunteer leaders who continue to provide the value we’ve always promised our members. Hersch: Which legislative and regulatory issues are now top-of-mind for NAIFA’s leadership in 2014 and beyond? McNeely: I don’t expect much will happen between now and the end of 2014. But in early 2015, we’ll be paying attention to some significant issues, in particular tax reform. As you may be aware, Congress’ Joint Committee on Taxation released its tax expenditures report, and there are significant concerns for our industry therein. The report pegs the costs to the U.S. Treasury in so-called tax expenditures at $3.2 trillion over a five-year period; and it identifies a laundry list of potential sources tax revenue. Among them: taxation of the inside build-up in permanent life insurance, traditional IRAs, 401(k)s and other deferred compensation plans, as well as pension plans for the self-employed. These vehicles provide a way for average Americans to take personal responsibility for their future by setting aside money for retirement and other financial needs. As an industry, we don’t to want to see legislation that might hinder consumers from saving appropriately for the future. And so NAIFA be monitoring the Joint Committee’s work very closely. We know our industry’s products make for attractive targets among some in Congress who are looking for new sources of revenue. Hersch: What strategies will NAIFA be employing in the year ahead to secure its advocacy goals? McNeely: We have an amazing legislative team in Washington that is already having conversations with committee members and other stakeholders regarding the items of concerns in the report. We also draw great strength from the grassroots efforts of our members —particularly when they come to Washington to tell the industry’s story. For the last two years, NAIFA has successfully hosted a Congressional Conference, a one-day meeting that affords members the opportunity to go to Capitol Hill to advise lawmakers and their staff on how their decisions affect agents, brokers and their clients. We’ll have our next conference in May, a gathering we expect will draw from 700 to 1,000 members. Our September annual meeting in San Diego will also have a legislative update, but governance of the association and professional development will be the primary focus of the fall gathering. Hersch: What advocacy work is NAIFA carrying out at the state level? McNeely: We have a team that’s monitoring legislative and regulatory activity within the states, notably the Departments of Insurance. Each state NAIFA association employs a lobbyist or a firm to monitor state activity. NAIFA National assists in these efforts by lending people and resources to facilitate state advocacy initiatives when needed. We have a strong ability to ensure that our products are protected when we bring together our internal team of lobbyists, external partners and grass roots supporters at the state and local levels. Hersch: How is NAIFA evolving to better meet the professional development needs of its members and to attract new recruits? McNeely: NAIFA recently joined with the College for Financial Planning to redesign and relaunch its LUTC [Life Underwriter Training Council Fellow] program. We’ll be talking about the initiative at the September convention and again when enrollment starts in January of 2015. Classes for the program will begin in July of 2015. We’re very excited about the program, as the College for Financial Planning has brought new life to the curriculum. The program will deliver content via interactive web-based classrooms — an approach that should appeal to many new advisors and member prospects. Hersch: Why is The American College, which spearheaded the original LUTC curriculum, no longer overseeing the program? McNeely: The American College, with which we had a long partnership to promote the program, decided to go in another direction with a different designation. When that happened, we heard an outcry from our existing LUTC graduates, who felt strongly that the designation should remain as is. So NAIFA’s leadership elected to continue the program; and to that end, we partnered with the College for Financial Planning. The college owns the curriculum; NAIFA owns the designation. Hersch: What other professional development initiatives will you be promoting at the September annual meeting? McNealy: I’m very excited about Advisor 2020, a joint research initiative of NAIFA and the GAMA Foundation that examines what advisors need to do to be successful, particularly in respect to serving the middle market. Advisor 2020 will offer strategies, for example, on educating consumers about the value of savings, as opposed to just explaining our products and options for purchase. NAIFA worked with the GAMA Foundation to develop a workshop, the first of which will be delivered at the September NAIFA conference. Thereafter, we plan to roll out the workshop across the country. We expect the GAMA Foundation research will force advisors to think about how to market differently to different generations. There are great pieces that will help both members and non-members to stretch themselves and to move their practices forward. Hersch: Why was the GAMA Foundation a partner in this initiative? McNeely: The foundation had done a study just prior to Advisors 2020 called Firm 2020, which focuses on what agencies and agency managers need to do to be successful. We proposed that the Foundation do a similar study focused on agents. GAMA’s people thought the proposal a great idea; and we jointly agreed the research should be done in two sections: one focusing on the consumers of 2020; and the second exploring what advisors need to be doing in 2020 to successfully serve consumers. Hersch: What personal goals have you established for your term as NAIFA president? How might your tenure differ in substance or style from those who came before you? 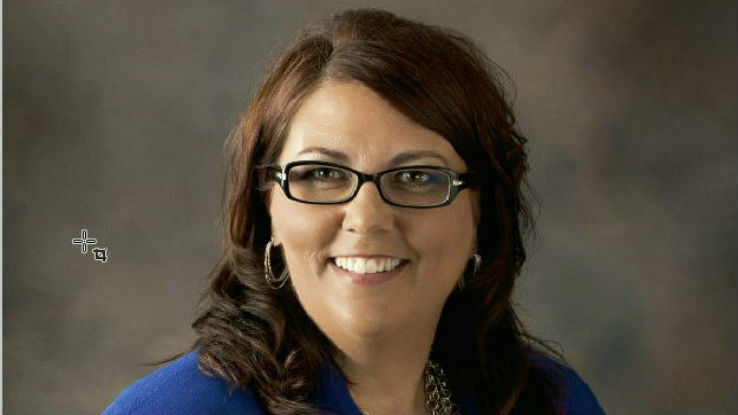 McNeely: As NAIFA’s first female president, I imagine will be some differences in style. As to my personal goals, I will be trying to get our state and local associations to think differently about how to promote NAIFA’s value proposition. We’ve operated as an association in a certain mode for a long time. Our members and prospective members, particularly younger advisors, have evolving expectations. We have to continue to be attractive to both groups; and this may require us to deliver content and services differently. I’m challenging our state and local associations to innovate and to change their focus to be more attractive to the new generation of advisors. The underlying theme of the September meeting, I should add, is centered around innovation. [LifeHealthPro contributor] Maria Ferrante-Schepis will be speaking on innovation in the insurance and financial service industry. A second speaker will address generational differences and how to market to individuals of different generations. A third speaker will explore how to take relationships to a new and deeper level. Hersch: How do you hope during your coming term as president to boost the number of NAIFA members and association leaders who are women? McNeely: Currently, 17 percent of NAIFA’s membership consists of women — our ranks are still disproportionally represented by Caucasian males. I expect more women will choose insurance and financial services as a career and, thereafter, join our association. As NAIFA’s first female president, I hope to be able to capitalize on the opportunity to showcase why the profession is such a great career choice. Hersch: Do you have any final thoughts to share as you prepare for the San Diego meeting? McNeely: I couldn’t be prouder of our association’s standing in the industry today. I would hope that we have a lot more members than we now do, but I’m delighted with all we’ve accomplished with our existing resources. If we can deliver great value for our current 40,000-plus members, then we can do so for 120,000-plus members. NAIFA remains strong. And so I have hopes for the coming two years.